It is a relief to many in Colorado that the recent epidemic of mountain pine beetle infestations has now ended. After killing approximately five million acres of trees and dominating headlines for a decade, new infestations have not been seen in Vail for several years. This does not mean that residents of Eagle County are no longer concerned about their trees. Unfortunately, preventative spraying of trees has not stopped since the beetle has moved on. This spraying has several unintended consequences and may even be causing a whole new epidemic of infestations from another kind of tree pest. Pine needle scale is an even tinier insect that appears as miniscule white dots on the needles of pine and spruce trees. In the past, needle scale infestations posed little risk to the overall health of a tree. Natural predators of needle scale, particularly other insects, typically controlled infestations within a year or two. Foresters and arborists rarely took action to stop needle scale because infestations would run their course on their own and leave trees unharmed. In the broader forest, away from human interference, this pattern remains unchanged. In the past five years, however, the traditional pattern of infestations appearing and subsiding naturally on ornamental and suburban trees has been turned on its head. Several arborists think they know why. Needle scale remains rare on trees in the forest. By contrast, it has become ubiquitous in populated areas and has even begun to kill healthy trees. The most severe infestations of needle scale seem to occur in areas that were heavily sprayed for mountain pine beetle. Sprays used to protect trees from pine beetle also kill beneficial insects that prey on needle scale. The needle-scale insects are protected from sprays by the scale-like cuticles they shelter under. Unless they are in the brief, two-week crawler phase, foliar-applied pesticides have little effect on them. Tragically, local residents continue to spray for mountain pine beetle, a pest that is no longer present. This puts harmful chemicals into the environment unnecessarily and has impacts on beneficial insects such as pollinators, predatory insects that help control pests and aquatic insects that feed our trout fisheries. The town of Vail has eliminated foliar spray applications of pesticides and uses systemic pesticides only after carefully evaluating a tree for active infestations. This is part of an effort to use a more holistic approach known as integrated pest management, which recommends chemical treatment only as a last resort. If you are concerned about the health of your trees, then consider asking an expert. The first question to ask is, what is causing the declining health of your tree? An arborist or pesticide applicator should be able to tell you very specifically before they prescribe a course of action. If spraying is suggested, then is it the right time of year to spray for the pest that is impacting your tree? The best way to prevent tree pest infestations is to maintain the health of your trees with appropriate plant selection for your area, healthy soils and adequate but not excessive watering. Vail residents can contact the author to schedule a free, on-site assessment of trees and landscaping on their property. Similar technical assistance and planting resources are also available from the Colorado State University Eagle County Extension. 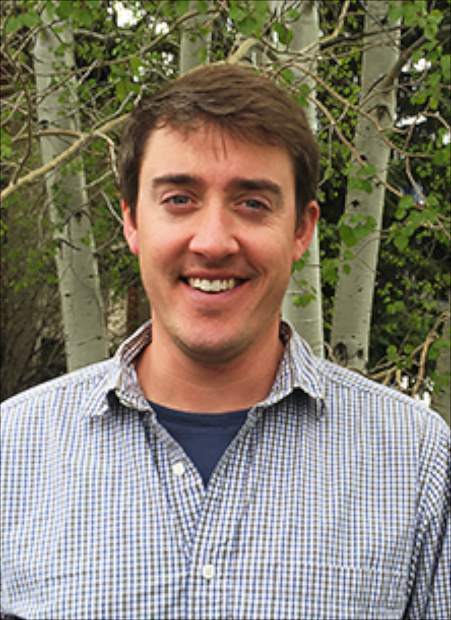 Pete Wadden is the watershed education coordinator for the town of Vail and can be reached at pwadden@vailgov.com or 970-479-2144. A list of arborists, landscapers and landscape architects familiar with integrated pest management can be found at http://www.lovevail.org/gorecreek.